Book of the Week Book of the Week: A Pick by Forrest Soper Forrest Soper selects The Sea in the Darkness Calls by Bryan Thomas as Book of the Week. The Sea in the Darkness Calls. By Bryan Thomas. 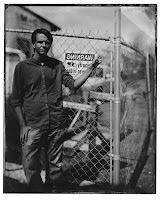 Forrest Soper selects The Sea in the Darkness Calls self-published by Bryan Thomas as Book of the Week. 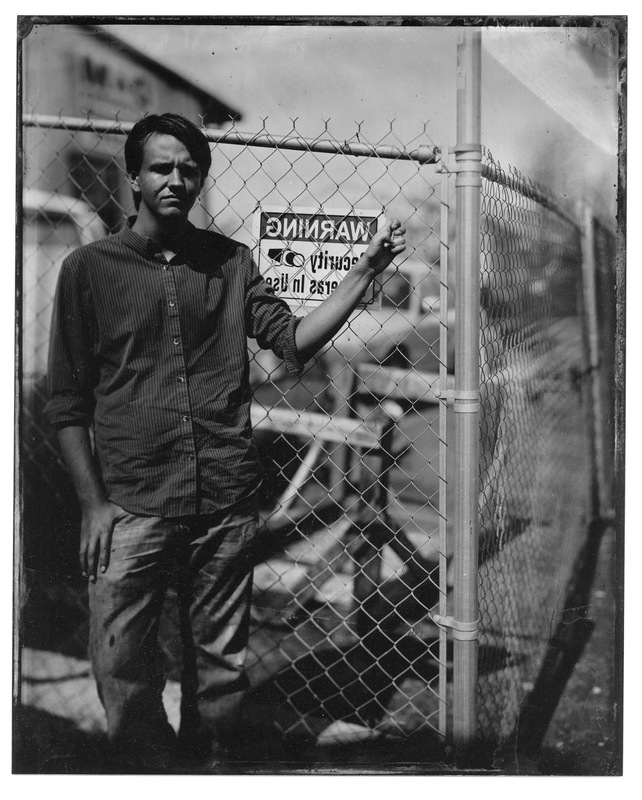 "The Sea in the Darkness Calls by Bryan Thomas is a brilliant self-published artist’s book exploring the effects of global warming on the state of Florida. Printed on 11”x15” heavy newsprint, this wonderful, unbound publication is full of environmental portraits, landscapes, scientific predictions, and vintage postcards. Rather than focus on the current effects of climate change, Thomas looks to the future, photographing Florida’s coastline before it is swallowed by the impending rise of the sea level. As a result, the photographs in this book become representational, rather than scientific, as the book transforms into a melancholy document of a disappearing landscape. 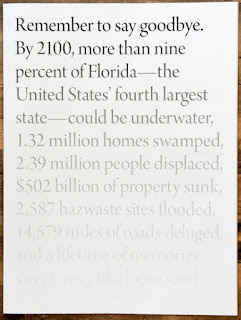 By 2100, it is estimated that 9% of Florida’s current landmass will be underwater. Despite this ominous foresight, coastal development continues to this day, and 75% of Florida’s population lives in coastal areas. Scientists predict that this will displace millions of individuals and cause billions of dollars’ worth of damage to existing infrastructure. 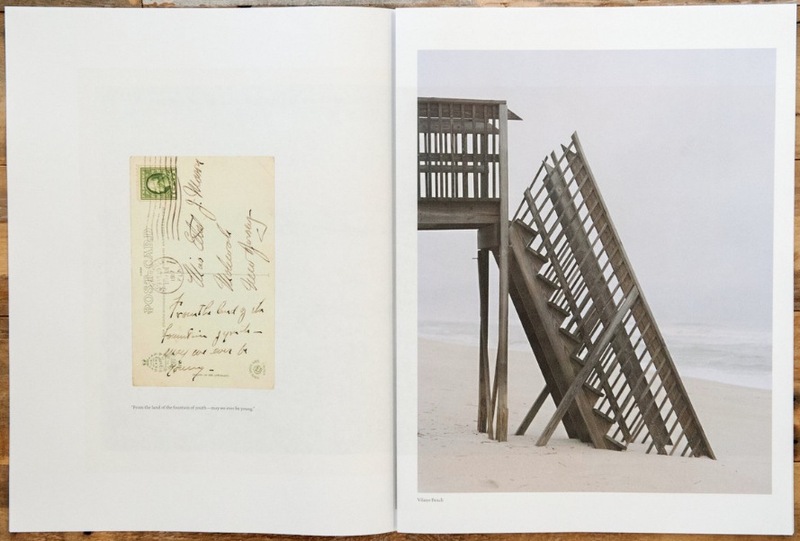 Throughout the book, text blocks continuously inform the viewer about the future effects of global warming, contrasting the photographs, which focus primarily on the past and the present. The book begins and ends with photographs of vintage postcards. Thomas uses the hand-painted imagery found on postcards, billboards, and murals to depict the idealized version of Florida’s coastline. 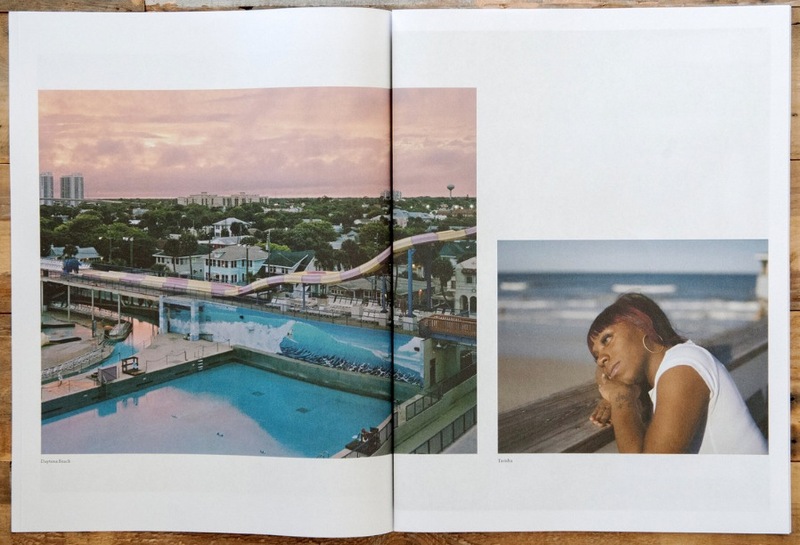 Going so far as to include a vintage postcard in every copy of the book, Thomas seems to attempt to capture the Memories of Florida that existed in his childhood, a romantic paradise that is becoming increasingly endangered. The straight photographs in the book focus on the present. Intimate environmental portraits of people who live, work, and otherwise interact with the coastline fill the pages. A young woman rides a horse in the ocean as a fisherman sunbathes on a pier. Commercial buildings, houses, and recreational centers dot the pages, all with the knowledge that they will soon be under water. Often photographed at sunset or twilight, there is a hint of loss that permeates these photographs. One cannot separate the faces from the chilling scientific facts presented in this book. The Sea in the Darkness Calls. By Bryan Thomas. Self-published, 2016.